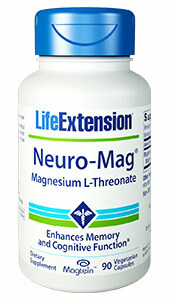 Neuro-Mag® Magnesium L-Threonate supports healthy memory and cognition by optimizing magnesium levels in the brain. 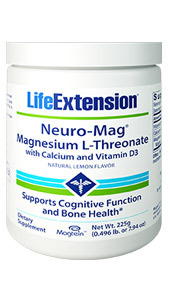 Magnesium is essential for over 300 different biochemical reactions in the body ? 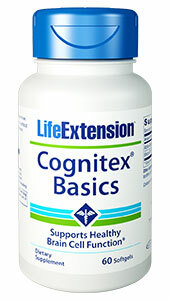 from cardiovascular and bone health support to energy metabolism, mood, and most especially cognitive function. Unfortunately, it’s hard to maintain optimal levels of magnesium in the brain. And that’s a problem since magnesium deficiency increases with normal aging. But because of its superior absorption into the bloodstream and nervous system, Neuro-Mag® provides the ideal form of magnesium for enhanced memory and cognitive function. 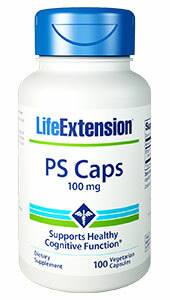 Other ingredients: vegetable cellulose (capsule), microcrystalline cellulose, stearic acid, silica, vegetable stearate.